Thomas Bey-William Bailey. Asmeninio archyvo nuotr. In a sonic culture whose artifacts are more diversified than at any point in prior history, the vocabulary of musical composition becomes increasingly inadequate to describe what now faces us. The legacy bequeathed to us by 20th century pioneers like the GRM [Groupe de Recherches Musicales] has been a compositional universe of sounds that cannot be spoken of in terms of melody, scale, or key, but instead with the terminology normally applied to non-aural sense organs: we praise the clarity and realism of a good sound piece by remarking about its "texture" or color, or - in the case of granular synthesis - compose and perform sound works that rely as much on morphological terms like "spatial scattering" or "cloud density" as on more distinctly musical concepts of pitch and tempo. The reciprocal play between new creative technology and aesthetic sensibility has given us a sound environment where, borrowing Op artist Bridget Riley's remarks on color, we feel and "see" sound "in the guise of a substance." The ability to electronically craft sounds unlike any associated with nature or human industry, enhanced by the illusion of "presence" that high-fidelity sound recordings now afford, forces us to engage other senses in an attempt to domesticate these sounds. Synesthetic forms are dynamic. They are not mirrored in thought, they are literal perceptions. They are not reflected upon; they are experienced as events. Synesthetes who gain a measure of willful control over them still perceive them as occurences in the world, not contents of their heads. Everyone knows to what extremes Symbolism carried the doctrine, already present in romanticism, of the possibility of the cross-translation of sensations: synesthesia, called by Baudelaire "correspondence." Suffice it to cite some of Mallarmé's experiments, or a document like "Voyelles", the famous (or infamous) sonnet in which Rimbaud assigned a different chromatic value to each of the vowels, bringing things to the point in which the three letters e, i and o - as François Coppeé's mocking epigram put it - "form le drapeau tricolore." Coppeé's ridicule, as repeated here by Poggioli, is a biting example of how one man's profundity becomes another's banality in an awful hurry. Yet Baudelaire's sonnet is not an anomaly among artworks, many of which have relied on such "correspondences", and it is unfair to tar this entire area of research with the same brush. Baudelaire's hyperesthesia may not have been the same thing as a clinicially diagnosed synesthesia, especially considering the artificial heightening of his senses that came about during his immersion in the trance-inducing smoke of the "Club des Haschishins." Whatever its origins may have been, though, other critics have lauded Baudelaire's advanced sensitivity for the progressive atittude it kindled: "[it] enabled him to be always, as it were, at the centre of a sensation, never to experience anything externally […] never to be content with a mere verbalism." Poggioli's exasperated attitude towards the overzealous nature of avant-garde art makes him, perhaps, too quick to condemn synesthetic experimenters as 'extreme' futurist dilettantes. Nevertheless, his objection still persists - in even more intensified forms - today, where artworks aiming at multi-sensory stimulation are far more common, and are just as often a way for artists to distribute meager talents across several media as they are a vehicle for expressive breakthroughs. This situation begs he question: What combination of technical and cultural factors has led us to the place where we are now; where sensory union or cross-modal translation is again a topic for serious consideration among those working in the sonic arts? I propose that the present interest stems from frequently intertwining histories of esoteric, aesthetic and scientific research, which had differing aims for the furthering of a truly synesthetic art, yet liberally borrowed from each other's methodology and terminology. So, having realized that such an interest exists, how deep does it run- is the apparent spike in curiosity just an effect of the post-digital information age, whose ease of data retrieval and slick presentation can make it seem like even the most obscure theories and have large "movements" sustaining them? Finally, to what extent are actual sound specialists - as opposed to, say, neurological researchers, or artists operating in other fields - responsible for contributions to the of cross-modal perception? Along similar lines, has the isolated study of sound led down the path to eventual synesthetic study, or have the sensory impressions gained from other arts led the way? Maybe one of the above questions can be answered at the outset, for convenience's sake: though we may be living in the midst of the informational glut known as the "exaflood," the current interest in sensory correspondences is a revival in an interest that has existed, in various degrees, from antiquity. In China of the Confucian era, cross-sensory speculation occurred when the five tones of the musical scale were seen as harmonizing with the elemental properties of water, fire, wood, metal, and earth. In ancient Greece, the sensus communis of Aristotlean thought - a sort of translating faculty that was separate from the individual senses themselves - was carried over into the Middle Ages, where Thomas Aquinas used it as one of three 'chambers' in the brain (wherein the sensus communis constituted the foremost brain chamber, ratiocination occurred in the middle chamber, and memory was relegated to the 3rd and final chamber.) Aquinas' proposal survived to the Renaissance, where da Vinci made the slight adjustment of making the sensus communis the central brain chamber. Later, within the intellectual climate of post-Enlightenment Europe, all of these efforts were resuscitated to some degree or another, with the involvement of Johann Wolfgang von Goethe being one of the great catalysts: as a major cultural producer and a theoretical physicist, Goethe's 1810 publication of Zur Farbenlehre ['Theory of Colors'] threw down a gauntlet only the most intrepid intellectual adventurers would be able to pick up, and made a daunting implication that anyone dealing with this special subject should be a highly skillful polymath. Zur Farbenlehre, a challenge to concepts laid down in Sir Isaac Newton's Opticks from the previous century (another work that attempted to match sonic vibrations with wavelengths of light), arguably gave a modern legitimacy to cultural interpretations that followed. Though not even Goethe's studies led to a precise algorithm for the translation of sound into sight, the combined efforts mentioned above had a significant impact on cultural, and particularly sonic, life of the exploratory artist- in the process expanding the disciplinary boundaries that the artist inhabited. This is a set of developments that we now need to set our sights on. In many ways, the musical culture of the mid-late 19th century, particularly in Germany, provided us with the most important referents for the modern culture of artistic fusion we now take for granted (this is not so surprising when considering the synesthetic terms embedded in the German language itself; the word for timbre - klangfarbe - fuses the aural term 'klang / sound' with the visual 'farbe / color.') Grand projects like Richard Wagner's concept of the Gesamtkunstwerk [total artwork], while not explicitly suggesting the 1:1 translatability of sound into color and vice versa, nonetheless insisted upon giving both visual and aural stimulus in equal amounts, using a unique combination of music, choreographed movement, and stage sets and in post-operatic "music dramas." In this way, Wagner completed the work laid out for him by Weber, and his own attempts at unifying the arts within opera production. The Wagnerian press agent Eduoard Dujardin - founder of the Revue Wagnérienne - realized the Gesmatkunstwerk synthesis as being the great innovation of the composer, and proclaimed from the hilltops that "the new Wagnerian art re-creates the complete feeling of reality by appealing to all the senses at once." Dujardin's backing hinted at an energizing effect upon artists who increasingly felt they were not "just" masters of a single craft, but were holistic communicators of life's rich drama. Despite the composer's equally celebrated and reviled commitment to mythologizing the Germanic character, the Wagnerian aesthetic became deeply influential upon the artists of the other great European powers. The aforementioned Baudelaire, for one, hailed Wagner from France. The idealistic composer's influence was also imported into England via Franz Hueffer, and found a receptive audience among the local Symbolist faction, the Pre-Raphaelites. An offshoot of that aesthetic school - the consummate English dandy Aubrey Beardsley - maintained a fondness for Wagner over his brief life, keeping a framed portrait of the composer in his living quarters. Incidentally, it was the well-attired, affectation-prone, and status-minded dandy who provided one of the main models for the so-called synesthete of this era, positing the synesthete as a subspecies of an aesthete or connoiseur of sensations. The Baudelaire that Poggioli casts a wary eye upon, thanks to his theory of such "correspondences," provided a template for later (and lesser) poetic narcissists to emulate: despite being immaculately tailored and thus very presentable in any social setting, the poet was "…not by nature sociable" and "somewhat ill at ease in polite society," prefering a now-iconic mode of cool detachment in which he "only sought to astonish by the unexpectedness of his remarks and the cynicism of his attitude." As heirs to the Byronic legacy, the principle motivation of such aesthetes was sensation, and the attainment of as many possible kinds as existed- a mission to which personal accomplishments and accolades were secondary. Joris-Karl Huysmans' magnum opus À rebours, first published in 1884, provides a captivating look at the contemporaneous idea of the "synesthete"- which is, again, a hyperesthete by today's reckoning, yet this oversight does not make Huysmans' portrait any less interesting. The book's fandom included Oscar Wilde and the same Stéphane Mallarmé who is held to the fire by Poggioli above; Mallarmé even composed a verse in tribute to the book's protagonist. The fictional character in question,Jean Des Esseintes, had tastes that were a fantastic caricature of the author's own (although Huysmans' modest civil servant wages would have prevented him from obtaining the more fanciful jewel-encrusted baubles that the aristocratic Des Esseintes lays claim to.) 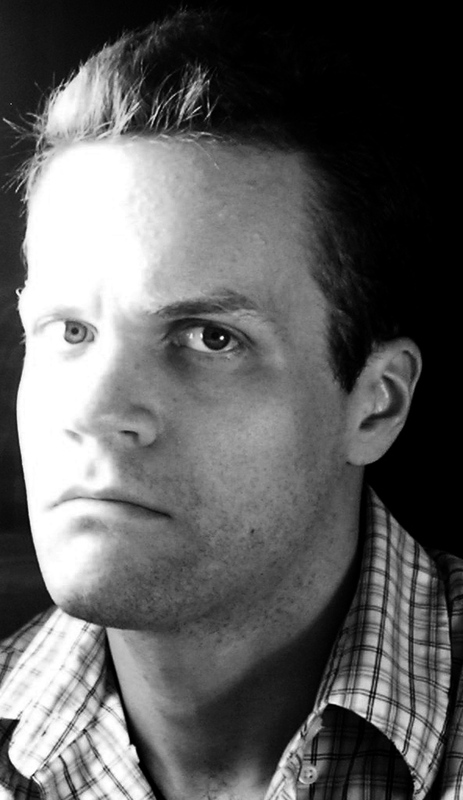 His comically exaggerated misanthropy leads him to a more satisfying life in relative isolation, where he expounds on the merits of artists like Odilon Redon and Gustave Moreau, spending large swaths of the book's text doing little more than itemizing aesthetic objects and experiences, not sparing anything a withering critique. If we begin at once to break the bonds which bind us to nature, and devote ourselves purely to combination of pure colour and abstract form, we shall produce works which are mere decoration, which are suited to neckties or carpets. Beauty of Form and Colour is no sufficient aim by itself, despite the assertions of pure aesthetes or even of naturalists, who are obsessed with the idea of "beauty." Kandinsky's suspicion of "pure aesthetes" almost certainly implicates his contemporaries and successors in fin de siècle decadence- the swipe at the Naturalist movement is also an indirect condemnation of Huysmans, who befriended one of that school's most noted exponents (Émile Zola) and was very active in the writing of Naturalist fiction prior to the 'sharp break' that À rebours represented. The thought of using artistic materials as a lifestyle affectation was abhorrent to Kandinsky, and was tantamount to social irresponsibility: Kandinsky therefore carried on the Wagnerian program of replacing "art for art's sake" with the more sacrificial undertaking of "life for art's sake." In Kandinsky's view, Naturalists were another aspect of an atheistic menace that also included logical positivists, socialists, parliamentary republicans, and, even the followers of Abrahamic faiths- in short, any segment of society that he believed to be sustained on inherited ideals, and to be "full of dread of the unknown." Virtually anyone who accepted the world as it was, whether they claimed themselves to have a spiritual life or no, was opposed by the artist to those who risked all in order to go out into the world and bear witness to the redemptive power of Art. It was no accident that the mythological Prometheus, who stole fire from the gods, gave it to the wretched people below, and suffered dearly for his insubordination, was considered such a tutelary figure in the spiritual-aesthetic circles that Kandinsky frequented. Kandinsky's manifesto is not of interest for what it attacks, though, but rather for what it proposes. Central to his spiritual program is a suggestion that color be utilized as a language. Once this is achieved, he claims that "the actual expression of color can be achieved simultaneously by several forms of art, each art playing its separate part, and producing a whole which exceeds in richness and force any expression attainable by one art alone." The curious thing about this is that, while acknowledging that the arts are more powerful as a synergistic whole, Kandinsky also claims that "music is the best teacher" en route to this goal: "with few exceptions, music has been, for some centuries, the art which has devoted itself not to the reproduction of natural phenomena, but rather to the expression of the artist's soul…" In acknowledging the primacy of music - and, by extension, the sensations received by active listening - Kandinsky's thought is not that far from Schopenhauer's philosophy, despite the latter's loathing for any enterprise that did not allow music to act on its own agency: "…[music] speaks so much to the heart, while it has nothing directly to say to the head and it is a misuse of it to demand it should do so, as happens in all pictorial music, which is consequently once and for all objectionable." Music or sound as a 'starting point' for ventures in sensory correspondence was not uncommon from the 19th century onward: another example among many is provided in the person of seminal pointillist painter Paul Signac, who was already fond of giving his canvases "opus numbers" and also titling them after the distinct moods and tempos within musical pieces (scherzo, allegro maestoso, adagio, etc.) Yet popularity alone does not account for the evangelical fervor of artists like Kandinsky- what was the wellspring for the truly missionary among the "correspondence" artists? Synesthesia specialist Richard Cytowic writes, in the foreword to his ground-breaking work on the subject, how his colleagues warned him against getting his hands dirty with a topic that was considered "too weird…too New Age." Certainly, there is much less hesistance to scientifically treat the subject now (thanks in part to Cytowic's own efforts.) However, the connection of synesthesia studies with the New Age, i.e. a type of syncretic belief system now seen as problematic for the incompatibility of its constituent beliefs, does have some definite historical precedent: whatever one thinks of the New Age movement, it's not irresponsible to claim that they assisted in directing artists towards synesthesia-oriented creativity. The monism proposed by late 19th century Theosophical Society - identified as a primary influence on the New Age syncretism of the late 20th century - seemed to encourage a quest for 'unity' in any given area of inquiry, which naturally extended to a unity of the senses. Once different wavelengths of visible light were determined to have "spiritual" values, the impetus was there for finding corresponding values in wavelengths of sound. Kandinsky's fervent spiritualism, which encouraged his heavy use of geometric forms as means of mystical inquiry, derived in large part from Theosophical precepts. Perhaps a few words need to be said on the mid-19th century conditions that allowed for mysticism and esotericism to play a starring role in the continuation of synesthesia research. Temporarily putting aside the revolutions in political thought that characterized this time, let us focus for a moment on the Darwinian turn of the 1860s and its unintended consequences on aesthetic life. Though not entirely the fault of the author, Darwin's Origin Of The Species became a watershed event, pace Jacques Barzun, "as much because of what it brought seething out of the European mind, as because of what it put into it." Though theorizing on natural selection began well before Darwin, and the conflict it generated really had more to do with 'purposiveness vs. randomness' than 'religion vs. science,' its impact on spiritual lie was profound and seemingly irreversible. In a despairing scenario that philosopher John Gray suggests, "The result of scientific inquiry seemed to be that humankind was alone. Evolution would bring about the death of the species and eventually, as the sun cooled and the planet ceased to be habitable, life itself would die out." Such realizations did not cause a capitulation to scientism within Europe, but instead birthed a number of spiritual and mystical societies- Egyptian, Masonic, Kabbalistic and so on. Moreover, organized esoteric activity from the 1870s-1890s was embraced by, if not outrighted initiated by, the leading artists of disparate European nations: William Butler Yeats, for example, helped to establish the Dublin Hermetic Society in 1885, attending his first séance in the same year and blazing an occult trail that would lead towards his initiation into the Hermetic Order of the Golden Dawn a few years later. This is to say nothing of a marginally influential artistic figure like Aleister Crowley - a painter and composer of verse - whose comparitively infamous reputation as an occultist won him a retrospective appreciation of his artworks. The post-Darwinian boom in spiritual and hermetic activity was exemplified by the 1875 founding of the Theosophical Society, and the contemporaneous Parisian revival of the Rosicrucian Brotherhood by Joséphin Péladan and Stanislas de Guaita. The former group, launched in the U.S. by Helena Petrova Blavatsky and Col. Henry Steel Olcott, was one esoteric organization that lent its mystical convictions to aesthetic practice, and, in one notable case to follow, contemporary musical composition. Blavatsky's colorful history of employment encourages suspicion as to her sincerity (she was a former equestrienne, Tsarist police informer, nightclub singer, and proprietor of two separate businesses that eventually folded), while the Society's backing of the teenaged Jiddu Krishnamurti as a messianic "world teacher" did irreperable damage as soon as Krishnamurti repudiated the role in 1929 (such an admission of deception was a massive blow to an organization with a motto of "no religion higher than the truth.") In spite of this, the movement did enjoy some success in its day. Blavatsky's arrival at Cambridge even, in the early going, earned her a hearty welcome from the utilitarian philosopher Henry Sidgwick, himself busy with a group called the Society for Psychical Research- though eventually Sidgwick "…recognized that Blavatsky was a charlatan and an imposter," he was initially "unfazed by her claim to be receiving letters of esoteric wisdom from mysterious Tibetan masters." The promulgation of Theosophy was cleverly done, using pseudo-Darwinian terminology. Evolution was re-considered as a spiritual process, wherein the mahatmas or adepts that came to possess psychic powers were not from some celestial realm, but were instead more "highly evolved" humans. This attitude clinched for the organization a far-ranging appeal: as suggested by Sidgwick's early endorsement, Theosophy was not a creed that lent itself only to the febrile imaginations of artist-activists like Kandinsky. Various advocates of social justice saw it as a meaningful way of harmonizing gains made in the political arena with advancements in spiritual life: the noted women's rights activist Annie Besant (known for her role in the 1888 London Matchgirls' Strike, and her then-controversial membership in the pro-contraception Malthusian League), met with Blavatsky in 1890 after penning a review of her Secret Doctrine. Upon Blavatsky's death in 1891, Besant became one of the main public faces of the movement, representing it at Chicago's World Fair of 1893 and eventually becoming its 'Most Puissant Grand Commander' in 1906. Whether one was a political firebrand or an impassioned artist, there was an idealistic attraction to the Society's claim that all religious had a common "esoteric" grounding in spite of their vastly differing "exoteric" appearances. Although there was no Russian branch of the Theosophical Society organized before 1908 - this followed on the heels of other social reforms enacted after the 1906 Constitution ceded power to the first State Duma - the composer Aleksandr Scriabin was a member of the Belgian section of the Society, being taken in by painter Jean Delville. 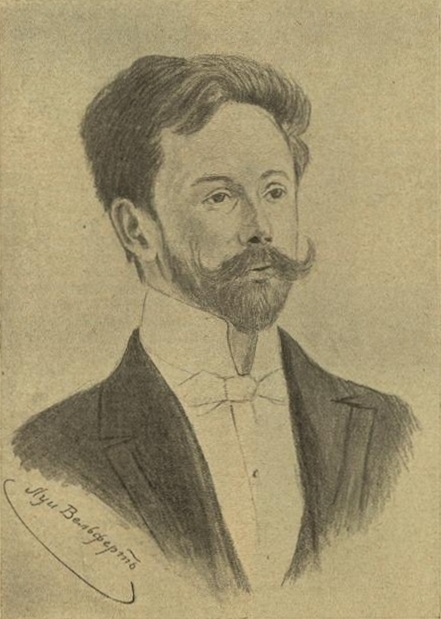 Scriabin, under the patronage of Nikolai Riabushinsky, was also closely associated with the synthesis-minded, Muscovite 'Blue Rose' group of Symbolists. Delville's foundation of the Belgian Salon d'Art Idealiste, concurrent with his Theosophic affiliations, gave him a kind of spiritual kinship with the English Pre-Raphaelites and made him another key cultural flashpoint of the esoteric 1890s. Shortly after his initiation into theosophy, Scriabin collaborated with other Belgian Theosophists on an essay about the aesthetics of language. His major contribution to "correspondence art" would come, though, in the form of Prometheus: The Poem Of Fire, a forceful and dynamic Romantic symphony that was supposed to employ a clavier à lumières [light organ], though a single New York performance in 1915 featured the instrument. The clavier à lumières would have its part scored on a separate treble staff included in the main score, and would perform in agreement with Scriabin's own system of color-key correspondence- the composer used a "circle of fifths" which began with a "red" C and assigned an ascending 5th interval to each consecutive change in color in the visible light spectrum. Some mystery still exists as to what Scriabin really visualized for performances of Prometheus, namely, whether he wished for the audience to be completely immersed in light or whether he was content with a screen placed on the stage. Given Scriabin's undeniable ambition and ecstatic temperament, though (he had also hoped to welcome the Apocalypse with a performance in India of his unfinished Mysterium symphony), it's safe to guess he prefered the maximum possible sensory bombardment. The imperious attitude of the authors, pronouncing certain colors as irrevocable evidence of a certain personality trait (e.g. "green seems to always indicate adaptability", "hard dull brown-grey is a sign of selfishness" also grates on the nerves.) A further attempt by the authors to scientifically legitimize the "thought forms" links them to early acoustics pioneer Ernst Chladni and his own synesthetic experiments, in which he noticed that scraping a violin bow against a sand-covered plate would produce differing shape configurations and numbers of nodal points depending on the positioning and motion of the bow. Whatever one thinks of the parentage of Thought-Forms, browsing its pages makes clear that it was a precursor of much abstract art and music to come- we can see echoes of these strangely kinetic glyphs in the hand-painted films of Harry Smith (one of many who attempted to 'paint music') and in the hypnotic, repetitive flux of 'Op' artworks. Despite the headway it made in popularizing the idea of sensory correspondences among its initiates, schisms within the Theosophical Society eventually alienated some of its more artistically minded representatives. Well before the Jiddu Krishnamurti debacle took place in 1929, the high-ranking Theosophist and architect Rudolf Steiner broke with the organization: though appointed by Annie Besant as leader of an Austro-German 'Esoteric Order', Steiner deviated markedly from Blavatsky's anti-Christian bias and consequently cast a loud vote of dissent against naming Krishnamurti as messianic "world teacher" in the first place (he was "discovered" by embattled theosophist Leadbetter in 1913, living near the Theosophical Society headquarters in Adyar.) Steiner's departure, and subsequent formation of the Anthroposophic school, meant the loss of several artistic luminaries for Theosophical Society: post-Wagnerian artists such as Kandinsky and Eduard Schuré, along with Kandinsky's eventual neighbor Paul Klee, all chose to side with Steiner. However, the schism did not mean the end of activities that dealt with sensory fusion or fusion of disparate art forms. Steiner's "eurhythmy" (a term originally used by Greeks or Romans, refering to proportional harmony in building designs) was another spiritually guided attempt at offering a "visible music." Interestingly, Hans Jenny (1904-1972), father of cymatics [from the Greek "matters pertaining to waves"], took cues from Chladni and from Steiner, as he taught science within a Zürich-based Steiner School. Jenny reprised Chladni's experiments using the more decidedly 20th century technology of crystal oscillators, which he used to create the vibrations that re-shaped masses of different material (from calcified sand to glycerin) placed atop black drum membranes or plates. The symmetrical forms resulting from the stimulation by audio tone, like Chladni's designs, had a complexity that directly related to the sonic frequency used to shape them- higher frequencies, often in the range of 5-15 kHz, again resulted in a greater degree of elaboration and repetition (of concentric circles, etc.) within the designs, with the opposite being the case for lower tones. His experiments, whether or not they are decoupled from a background of mystical questing, are useful to those looking for meaning in the "standing wave" electronic drone aesthetic of 20th-21st century sound explorers like Eliane Radigue, Alvin Lucier, and Mika Vainio. This type of sound's "physicality" - or, more accurately, its use as an aid in proprioception - has been a talking point in audio circles for some time, with Jenny's manipulation of capillary waves finding its way into the austere post-techno of Alva Noto and the odd oneiric music of The Hafler Trio. Interest in this art continues to surface in new places: most recently, the Japanese artist Keichi Kanazawa has performed public exhibitions of cymatic 'sculpting' using various rubber tipped mallets to cymatically 'sculpt' differently colored piles of granules into aesthetically pleasing forms. What do I care about the theatre? What do I care about the spasms of its moral ecstasies in which the mob - and who is not the mob today? - rejoices? What do I care about the whole pantomimic hocus-pocus of the actor? You are beginning to see that I am essentially anti-theatrical at heart. For the stage, this mob art par excellence, my soul has that deepest scorn felt by every artist today. The ear is greatly superior […] to any other nervous apparatus. It is eminently the organ for small intervals of time, and has been long used as such by astronomers…It is well known that, when two pendulums are ticking near one another, the ear can distinguish whether the ticks are not coincident, within one hundredth of a second. The eye would certainly fail to determine whether two flashes of light coincided within 1/24th of a second; and probably within a much larger fraction of a second. Within On The Sensations Of Tone, Helmholtz pondered over Aristotlean thought, particularly his '29th Problem' that asks why sonic phenomena 'resemble the feelings' and other sensory impressions do not (Aristotle concludes that it is perhaps because rhythmic and melodic structures are 'active,' and that action is the sign of feeling.) Helmholtz then goes on to wax fairly romantic about the motion of ocean waves ("how long and how often we can sit and look at the waves rolling to shore!") Considering how much later synesthetic experimentation dealt with finding sonic frequencies analogous to visible capillary waves, his words seem like a harbinger of things to come. "Severidad casi cientifica [an almost scientific severity]?" Modern artworks inspired by sensory translation have come a long way from the Romantic-era Wagnerian Gesamtkunstwerk- but is this simply because of technological advances, like the high definition we can now except from audio and video playback equipment? The attempt to make contributions both to aesthetics and to practical knowledge, for one, has become a much less bombastic enterprise than in Wagner's day, with nearly all the tools for doing so localized within a lightweight personal computer. Some of the best attempts at "correspondence art" now come from single producers, rather than the theatrical manner of placing different technicians in charge of different aspects of the presentation. Arguably, this is better given the highly subjective nature of synesthetic experience, which carries with it highly personal emotional responses whether the sensory translations are found agreeable by others or no. The history of synesthesia-inflected film is deserving of its own chapter (if not a full volume), and for now is outside the scope of this article. The form has evolved dramatically from examples like the Spanish Javier Aguirre's simple study for monochromatic stills that alter in accordance with single musical notes (Espectro Siete, 1970.) The DVDs released on the Line label in recent years (such as The Colorfield Variations collection assembled by sound artist Richard Chartier) compile some of the best 21st cnetury efforts: the uncannily organic CGI 'blossoms' of Ryoichi Kurokawa's piece ("Scorch," 2005) emerge in lockstep with a pastiche of discrete bio-mechanical sounds, while Tina Frank (visuals) and General Magic (sound) collaborate on a dizzying race through a forest of light columns ("Chronomops," 2006.) These particular specimens are easy for citizens of the computerized technopolis to identify with (especially since similar clips are composed using various software algorithms that directly convert digital audio into video.) Yet it is Aguirre who provides one key to the intentions of this modern art, and attempts to make the case for its uniqueness. Aguirre was the writer of the "AntiCine" manifesto laying the ground rules for an anti-narrative form of audio-visual art, and scorned the lack of rigour in previous synesthetic efforts Scriabin's work is too "conventional" for Aguirre, while he castigates Canadian Norman McLaren's prize-winning 1971 work Symchromie as "whimsical": "despite having been made a year later than ours, affects the somewhat banal and subjectivist correspondence between color and sound, without any kind of rigorous approach other than the purely technical." Aguirre argues that the non-ornamental nature of his film (with a musical score by Ramon Barce) also pushes the synesthetic artwork into "virgin territory," stating that inspiration for the film comes from the Doppler Effect rather than any kind of capricious attitude of the 19th century (Vladimir Baranov-Rossine, inventor of the optophonic piano, does not escape criticism here.) Interestingly, Aguirre's impassioned defense of Espectro Siete also points to a future where musicians have as much control of the creative process (if not more) than a traditional film director, since they play an increased role in generating the raw material for such films. With his manifesto, Aguirre hoped to make a clean break with supernatural reference points and to - in his words - generate aesthetic quality from "an almost scientific severity" itself . Lest we forget, though, René Ghil once refered to his own subjective system of l'instrumentation verbale by another name: scientific poetry. The authority of science has, in the past, been claimed by artists who did not manage to unveil the secrets of a universally applicable method of sensory translation. Esotericism and synesthesia are still, for many artists, joined at the hip, and even skeptics towards 21st century mysticism may have to admit that captivating artworks continue to arise from this alliance. One of the final releases of the British esoteric group Coil was a CD / DVD combination set entitled ANS, which the perceptive reader will recognize as the initials of Aleksandr Scriabin. The titular 'ANS' is also a photoelectric, polyphonic synthesizer designed by Evgeny Murzin and named after the composer, that interprets an artist's etchings upon black mastic as sine waves (of course, the synthesizer provides the source material for this album.) Coil, now defunct since the recent deaths of their founding membership, were friends and pupils of the multi-disciplinary duo Bryon Gysin and William Burroughs, whose relentless investigations into inner space went hand-in-hand with a role as societal outlaws. The post-industrial 'magic' of Burroughs and friends was based largely upon achieving individuation through willful disruptions of daily routine (using new creative methodology like the "cut-up", or imbibing obscure psychotropic drugs) and they apparently sought no allegiance with modern-day magical fraternities, let alone any form of systemic thought. The spiritual, anarcho-libertarian posture of all these individuals derives from the Crowleyan definition of magic - "making the universe act in accordance with the Will" - which itself bears a striking resemblance to the immolated heretic Bruno Giordano's much earlier definition, i.e magic as an "alloying of knowledge and the will to power to act." The combination of scientific methodology with parapsychology has been a potent tool for counter-cultural rebels who wish to transform objective reality, yet have little faith in political means of doing so. The preface to the Macromedia volume reinforces this desire to be appreciated by both students of the mind and spirit; it is penned by one John Beaulieu who has "studied mathematical composition with Iannis Xenakis and a systems approach to therapeutic program planning," yet also claims to be an authority on a vaguely-defined "energy medicine." For better or worse, Macromedia proprietor Jeff Volk now claims to speak for Jenny, and binds his work to a personal initiative of "sacred sound" and "Vibrational Healing" [the capitals are Volk's]. Volk's appearances at the meetings of paranormal groups like the American Society of Dowsers, and his offering of a trademarked therapeutic music ("MusiCure") will disenchant those who are wary of the paradoxical "business" of spirituality, yet such enterprises are unlikely to disappear anytime soon. Buying into such schemes is not necessary in order to be deeply affected by synesthetic experience, or to be entertained or elucidated by the way in which they seem to bypass cognitive faculties en route to a realm of pure sensation. Synesthesia specialist Cytowic is again perceptive enough to realize that "no other form of abstract expression is so popular" as the modern fireworks show- neither the carefully studied works of Kandinsky, Klee or Mondrian, nor the tumultuous music dramas of Wagner. Aldous Huxley, in charting the history of pyrotechny from being a 'military art' to a popular form of amusement during the Renaissance, recalls how "the popular subconscious was reminded by the crimson glare of strontium, by copper blue and barium green and sodium yellow, of that Other World […] in the psychological equivalent of Australia." Those modern sound artists who double as psychic researchers - a movement typified by an artist like John Duncan - have achieved such an effect with little more than floods of white light and a corresponding deluge of white noise. The concert or sound installation as 'sensory overload' test is another arena where, via attempts at inducing synesthetic awareness, atavism and futurism join hands. However, synesthetic experience does not merely put us in touch with the mental worlds of distant ancestors, but perhaps also with the sensory impressions of ourselves in our infancy. Developmental theorists' studies point to human infants as being precorticate: the world as sensed by newborn humans has often been refered to as a "sensory primordial soup", and more clearly defined perceptions arise, as per Canadian researcher Daphne Maurer, when "idle neural connections between sensory domains are 'pruned' […] most intermodal connections are eliminated in the first six months; the process becomes slower from the ages of one to eleven years." More specifically, infants' lack of myelination / axon coating is proposed as a contributing factor here. Adult humans, legitimate synesthetes included, are cognizant of their sensory impressions' origins (i.e. that separate sense organs exist) whereas infants do not make these distinctions. Using his term for synesthetic mappings - 'biograms' - Brian Massumi claims that they "persist as a subsequent underpinning of all subsequent [adult] perception" and that "'normality' is when the biogram recedes to the background of vision…biograms are always in operation, it is just a question of whether or not their operations are remarked." 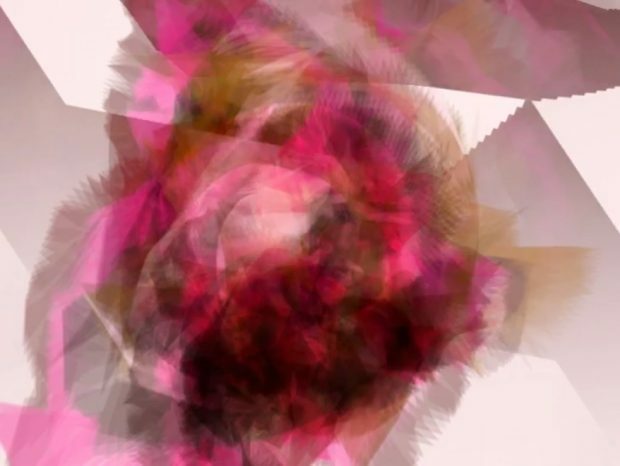 The view of synesthesia as a vestigial remnant of earlier consciousness puts us in another interesting position, because it arouses curiosity about the evolution of sensory faculties from animal to human. Consequently, it allows us to view this condition not as a means towards the mystical ends of transcending humanity, but as a means of better understanding "lower" orders of life: a possible window into what Jakob von Uexküll called animals' Umwelten, or life environments. Already great disparities between human and animal means of perception exist, especially when considering the aural sense (note the enhanced mobility of many species' ears, e.g. the horse's auricle and its 17 muscles)- it is therefore not a stretch to assume heightened synesthetic perception would exist in non-human life. Notably, Paul Schiller's 1935 study on fish showed a 'subcortical' creature to be highly capable of synesthetic associations: Schiller found that, once able to discriminate between lit and darkened chambers, fish would relate qualities of brightness and darkness to odours as well. Of course, the act of merging with animal consciousness has its roots in spiritual, particularly shamanic practices, yet these fascinating studies are applicable to all areas of human endeavor. As this report has attempted to indicate, the realms of the aesthetic, spiritual, and scientific often end up inadvertently assisting each other towards their respective goals (the merger of beauty with morality, the survival of consciousness after death, and the pragmatic re-organization of life.) The products of instrumental rationality often end up lending support to their would-be adversaries, and vice versa. As such, there is no use in complaining about modern-day Jean Des Esseintes who dive into this kind of art as just another distraction, or bemoaning the mystical communities' "hijacking" non-falsifiable synesthetic research. The interdisciplinary rigour required by this research demands that those in specialized fields expand into terra incognita, to in turn de-specialize and try to revive models of intellectual life that have been less prevalent in a technocratic age. One of Nietzsche's warnings against the art of Wagner summed up the situation perfectly: "Gigantic forces are concealed in it: it drives one beyond its own domain." Although it is left up to the individual to decide whether this is good or bad, I wholeheartedly concur with this statement. One 'deep and tenebrous unity' may require another to fully understand it. Bridget Riley, "Color For The Painter. 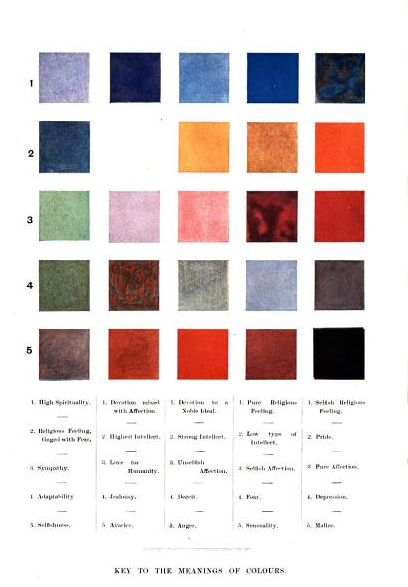 "Colour: Art And Science, ed. Trevor Lamb and Janine Bourriau, p. 31. Cambridge University Press, Cambridge, 1995. Brian Massumi, Parable For The Virtual: Movement, Affect, Sensation, p. 186. Duke University Press, Durham NC, 2002. This rarity is compounded by Messiaen's synesthesia being "bi-directional." His ability to perceive audible values in visuals, as well as the reverse, is limited to a minority of individuals diagnosed with synesthesia. Rennatio Poggioli, Theory Of The Avant-Garde,p. 133. Trans. Gerald Fitzgerald. Belknap / Harvard, Cambridge / London, 1997. The title of the poem is, in fact, "Correspondences," and this essay's title is taken from one of its quatrains: "Like prolonged echoes mingling in the distance / In a deep and tenebrous unity / Vast as the dark of night and as the light of day / Perfumes, sounds, and colors correspond." James Laver quoted in Charles Baudelaire, The Flowers Of Evil, p. xxix. Ed. James Laver / Trans. 'by various hands.' The Easton Press, Norwalk CT, 1991. Eduoard Dujardin quoted in Jacques Barzun, Darwin / Marx / Wagner: Critique Of A Heritage, p. 289. University of Chicago Press, Chicago / London, 1981. James Laver quoted in Charles Baudelaire, The Flowers Of Evil, p. xvii. Ed. James Laver, The Easton Press, Norwalk CT, 1991. For what it's worth, acousmatic artist Lionel Marchetti has also titled one of his sound pieces À rebours. See the 23five / SFMOMA CD compilation "10 Hours of Sound from France" (23F/SFM 903), San Francisco CA, 2003. Wassily Kandinsky, Concerning The Spiritual In Art, p. 54.Trans. by M.T.H. Sadler. Dover Publications, New York, 1977. Arthur Schopenhauer, Essays And Aphorisms, p. 162. Trans. By R.J. Hollingdale. Penguin Books, London / New York, 2004. Jacques Barzun, Darwin / Marx / Wagner: Critique Of A Heritage, p. 30-31. University of Chicago Press, Chicago / London, 1981. John Gray, The Immortalization Commission, p. 24. Farrar / Straus / Giroux, New York, 2011. Annie Besant and C.W. Leadbetter, Thought-Forms, p. 12. Theosophical Publishing Society, London / Benares, 1905. Examples are available at http://laughingsquid.com/sound-shapes-sand-in-beautiful-demonstrations-of-sound-visualization/. Retrieved December 3, 2011. Friedrich Nietzsche, The Case Of Wagner / Nietzsche Contra Wagner / Selected Aphorisms, p. 64. Trans. Anthony Ludovici. T.N. Foulis, Edinburgh / London, 1911. In the original German: Die Lehre von den Tonempfindungen als physiologische Grundlage für die Theorie der Musik. Hermann Helmholtz, On The Sensations Of Tone, P. 128. Trans. Alexander J. Ellis. Dover Publications Inc., New York, 1954. Hermann Helmholtz, On The Sensations Of Tone, P. 251. Trans. Alexander J. Ellis. Dover Publications Inc., New York, 1954. Javier Aguirre quoted in La Mosca Tras La Oreja: de la música experimental al arte sonore en España,ed. Llorenç Barber and Montserrat Palacois, p. 32-33. Translation from the Spanish by the author. Ediciones Autor, Madrid, 2009. John Gray, Voltaire, p. 49. Routledge, New York, 1999. I am aware that Burroughs' very short-lived dalliance with Scientology is an exception to the latter; some words on his eventual disillusionment can be found at the following site: http://www.suburbia.com.au/~fun/scn/etc/wsb3.html. Retrieved December 3, 2011. See http://www.cymaticsource.org. Retrieved December 3, 2011. John Beaulieu quoted in Hans Jenny, Cymatics: A Study Of Wave Phenomena, p. 10. Macromedia Press, Newmarket NH, 2001. See http://www.youtube.com/watch?v=0xsTjgahJmI. Retrieved December 3, 2011. Richard E. Cytowic, M.D., Synesthesia: A Union Of The Senses, p. 177. MIT Press, Cambridge / London, 2002. Aldous Huxley, The Doors Of Perception / Heaven And Hell, p. 159. Harper Perennial, New York, 1990. 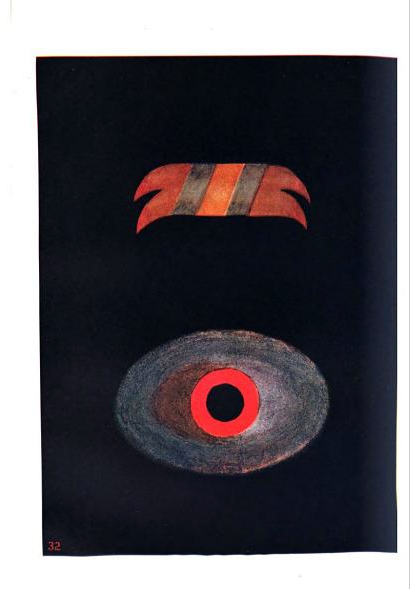 Cretien van Campen, The Hidden Sense: Synesthesia in Art and Science, p.31. MIT Press / Leonardo Books, Cambridge / London, 2010. Brian Massumi, Parable For The Virtual: Movement, Affect, Sensation, p. 188. Duke University Press, Durham NC, 2002. Francisco López,email correspondence with the author, 1 August 2011. Friedrich Nietzsche, The Case Of Wagner / Nietzsche Contra Wagner / Selected Aphorisms, p. 82. Trans. Anthony Ludovici. T.N. Foulis, Edinburgh / London, 1911. "Cymatics: A Publisher's Overview of the Geometries of Creation": This impromptu video, shot on-site at Jeff Volk's book stall where Jeff greets the Toronto Dowsers at the 2008 American Society of Dowsers (ASD) Convention in Vermont, gives a brief overview of some of the exquisite material (not just the stuff he publishes) Jeff uses in his presentations to illustrate the universal principles of creation.